Bank of Melbourne are offering 50,000 bonus Qantas for new cardholders of the Amplify Platinum Visa – Qantas Rewards until 22 May 2019, with a minimum spend requirement of $2,000 within the first 90 days of approval to receive to the bonus points. There is also up to 100,000 Amplify Points on offer for new cardholders of the Bank of Melbourne Amplify Platinum – Amplify Rewards variant. The Bank of Melbourne Amplify Platinum Visa – Qantas Rewards offers a decent earn rate of 0.5 Qantas Point per dollar on spend, which for a $99 annual fee card, is respectable. The Amplify family of cards includes cards offered by St.George, Bank of Melbourne and BankSA. This guide covers the earn rates and benefits of the Bank of Melbourne Platinum Visa – Qantas Rewards variant. We cover the Bank of Melbourne Amplify Signature Visa – Qantas Rewards in a separate guide. The Bank of Melbourne Amplify Platinum Visa – Qantas Rewards offers 0.5 Qantas Points per dollar spent with no points cap. 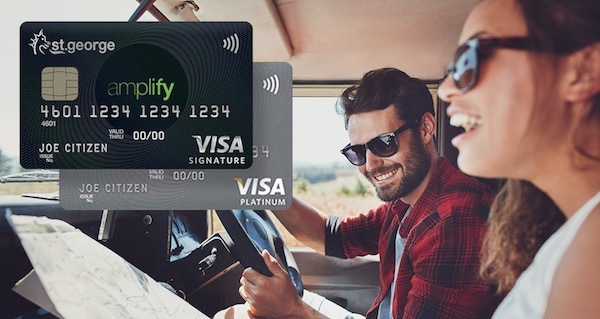 The Bank of Melbourne Amplify Platinum also has an Amplify Rewards variant that earns 1 Amplify point per $1 on spend which, as mentioned above equates to 0.5 Velocity Points, Krisflyer or Enrich Miles when transferred. While the Qantas Rewards variant directly earns 0.5 Qantas Point per $1 on all eligible spend. The Bank of Melbourne Amplify Platinum – Qantas Rewards could still be useful for those who are looking for a non-Amex card with decent Qantas Points earn, without a particularly expensive annual fee. Any idea if previous supplementary card holders (within the last 12 months) would be eligible for the sign up bonus? The terms and conditions don’t specifically exclude supplementary cardholders, but I recommend getting in touch with Bank of Melbourne prior to applying to confirm eligibility.